How to decorate a wedding on a budget is all about having a big wow factor, this is not about cheap decorations that look tacky. 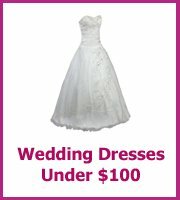 You want your wedding to look gorgeous and here is how. 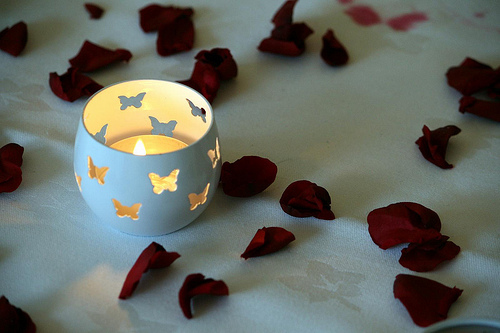 The type of wedding decorations that you choose will be dependent on your wedding theme and the season. Wedding themes are going to be even more popular this year, so don't hold back! If your wedding is to be outdoors then most of your decorations will already be there, whether it is beautiful flowers, trees or stunning views. 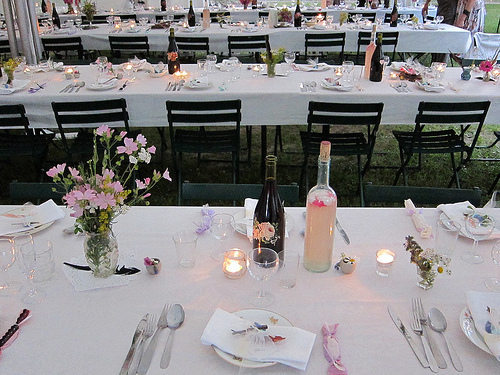 There will be a reason that you have chosen your outdoors venue and it won't just be price. Make the most of what you already have and show it off. 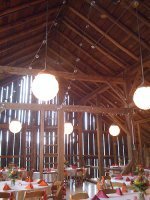 If you have a wedding tent or marquee then make sure it is facing the views and not hiding them. Add extra decorations to the areas that are already gorgeous, this could be with paper lanterns, candles, lanterns and even those fairy lights that everyone has for Christmas - ask everyone if you can borrow their lights. 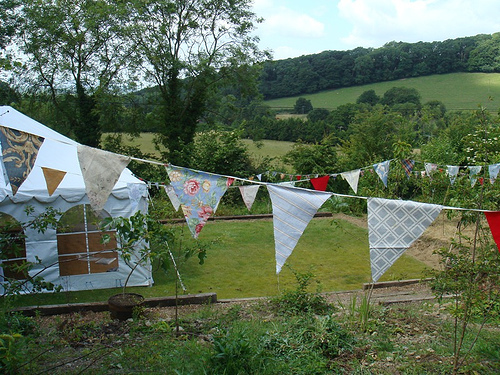 If your outdoor wedding theme is vintage then look at making bunting for the area, again ask friends and family to help and also if they have any materials that you can use. Summer wedding decorations are mainly about flowers, the cheapest option is to grow your own, remember to grow a lot more than you need so that you have enough. As a back up it would be a good idea to ask someone else to also grow flowers for your wedding just incase yours don't flower in time. Make sure you collect all of the petals as added decorations down the table. Other cheap options for the summer are pots of herbs dotted down the table, or plants of any kind. Decorate the pots and your cheap wedding centerpieces will also make a great gift for your guests, and even a great cheap wedding favor! 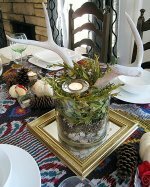 How to decorate a winter wedding cheaply will be about adding extra warmth and sparkle, this is mainly created with candles and the use of warm colors in your table linens. Hire stunning candelabras for a big wow as your guests walk into your venue. Vintage glass is also a great way to add sparkle, you can buy loads of cheap vintage glass in thrift stores - again remember to ask friends and family if they have any items that you can borrow. 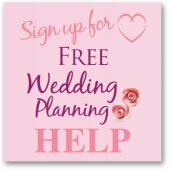 Try and get as much help as possible when you are working out how to decorate a wedding cheaply, set your budget and stick to it!